Settlers first came to the Prosper area in 1846 to farm and grow cotton. The area was originally made up of two separate settlements, Rock Hill and Richland. In 1876, the county sold off most of the surrounding land. However, it wasn’t until 1902, when the St. Louis & San Francisco Railroad came to the area, that the two separate settlements finally merged to create Prosper. The town, which had the largest railroad stop between Dallas and Sherman, was originally meant to take the name of Richland. However, that name was already taken, so “Prosper” was chosen. In 1914, the town was incorporated. U.N. Clary, the mayor at that time, served for 49 more years. When the 1980s saw the growth of industry and the metroplex area, Prosper began to grow again as well. Prosper is included in the large group of cities and suburbs that surround Dallas and Fort Worth. It is one of the northernmost cities of the area. The city itself covers a little over 22 square miles. Prosper is close to Lewisville Lake and Lake Ray Roberts, which is a part of Ray Roberts Lake State Park. In 2010, Prosper had a population of 9,423. The median age of inhabitants is just over 34 years old. Most households in the area are families, and almost half of the households have children under 18. Prosper hosts many community events throughout the year. The newest addition is the Prosper Founder’s Fest, which was started in 2011. The festival features a chili cook-off, a race, music and art. The festival will honor the city’s history and roots. The city also hosts an annual trout derby in the spring, which gives prizes and aims to introduce families and children to the sport. Prosper’s temperatures change significantly over the year, ranging from 30 to over 90 degrees. The area experiences spikes in precipitation in May and October, but morning humidity levels in the city remain high, around 80 percent, over the year. The area experiences some snow of an inch or less in the winter months. The city also has a tornado rate much higher than the rest of the country. Reliable Prosper, TX, AC repair and service can be found with Bill Joplin’s Air Conditioning and Heating. 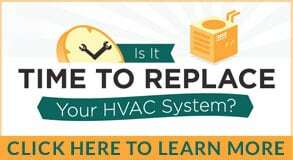 Joplin’s offers both AC repair and installation, so new residents to the growing area will be pleased to find Joplin’s to be their one-stop air conditioning shop. Joplin’s provides Frisco air conditioning services with local technicians who know the area. The owners of Joplin’s are locals who understand the unique needs for Prosper, TX, AC repair and service, which is why they also support local clubs and charities. Joplin’s stands by their Frisco air conditioning services, providing extensive information on their website and offering yearly maintenance plans.